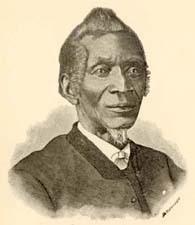 John Jamison Moore, 1818-1893 History of the A. M. E. Zion Church in America. Founded in 1796, in the City of New York. History of the A. M. E. Zion Church in America. Founded in 1796, in the City of New York. York, Pa.: Teachers' Journal Office, 1884. African American Methodists -- Biography. African American Methodists -- History. African Methodist Episcopal Zion Church -- History. Funding from the Library of Congress/Ameritech National Digital Library Competition supported the electronic publication of this title. Holgate Library, Bennett College, Greensboro, North Carolina provided the text for the electronic publication of this title.